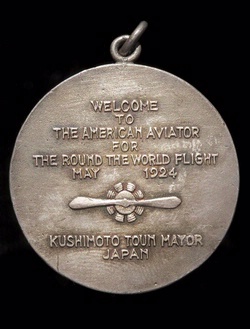 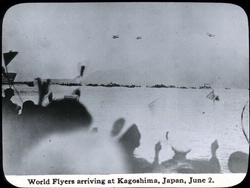 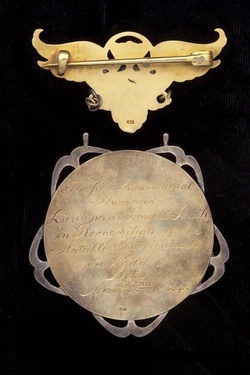 This medal was presented to the Douglas World Cruiser fliers in Japan. 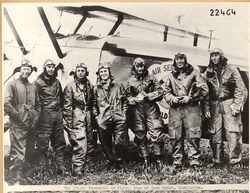 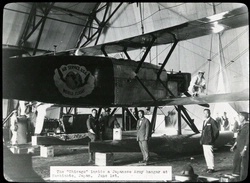 National Air and Space Museum, Smithsonian Institution (NASM 2009-30564). 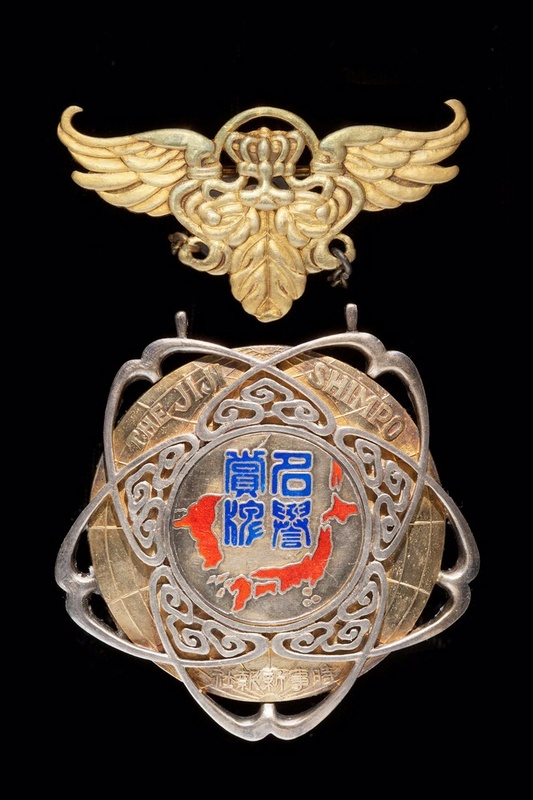 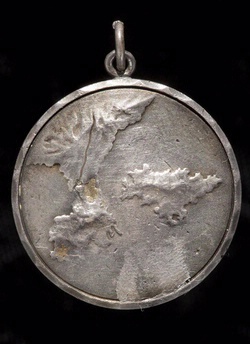 Find out more about Jiji Shimpo Medal, Japan (Front).